When walking across campus on a cold October morning the crane used for construction overtakes the skyline. MSU seems shadowed by the crane and construction that surrounds it. Construction is around every turn. It’s outside of almost every building, and it seems to be ever-present within the conversations that surround the University. There has been construction sites around nine different buildings throughout campus. 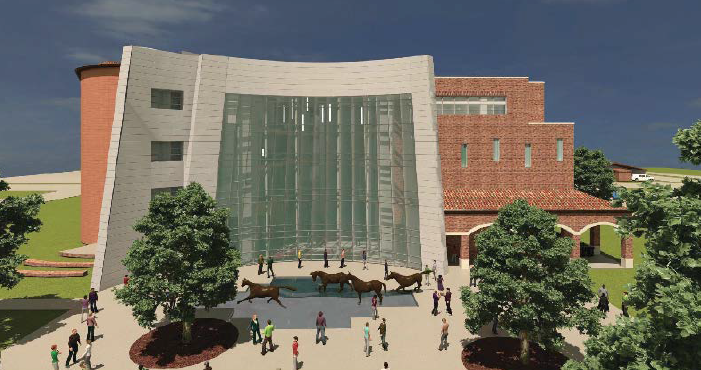 The construction included the new health science building, Moffett Library, the police department and multiple American with Disabilities Act and fire renovations within Bolin Hall, Ferguson Hall, Akin Auditorium, the Fain Fine Arts building, Hardin Administration Building and the West Campus Annex. 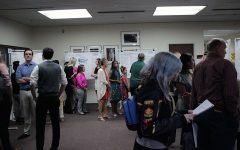 “It shows that the state and MSU is willing to spend money to help improve the campus and keep the quality of the facilities up with other campuses so that we can further improve student educations,” Owens said. Legislators appropriated $58.4 million through Tuition Revenue Bonds and Higher Education Assistance Funds. Construction continues on the new health sciences building, July 1. The $40 million health science building has taken up the majority of the funds. 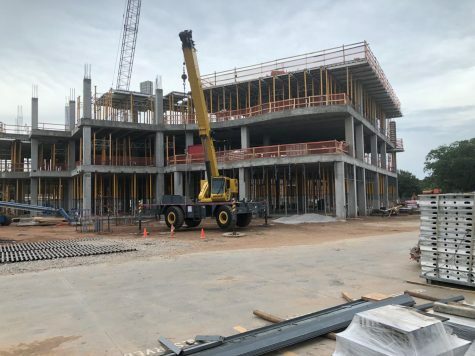 According to the schedule the Health Sciences building will be finished and handed over to the University in May of 2019, and it is intended to be opened for use in fall 2019. Dental hygiene, Wilson School of Nursing, radiologic sciences, respiratory care, and social work will be working together in the new building along with other departments that will have access to the classrooms. 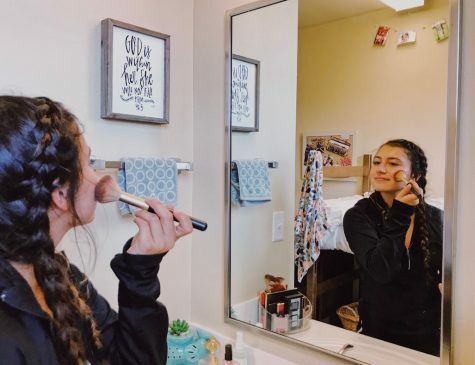 “It’s a shared vision for what an academic building should be, and several people have been great at contributing to this and putting it all together,” Johnston said. The departments worked together to arrange and design the spaces to fit the needs of the classes while making the spaces as functional and accessible as possible. Johnston said the department wanted the lobby to feature a theater-in-the round look. He said when standing in the middle of the lobby, individuals will be surrounded by a circle of large glass windows showing the classrooms where labs take place throughout the day. He said this is to make the individual feel like they are right in the middle of the action. The classroom spaces within the building are intended to be used as a campus space. This means more students that are not in the health sciences department could take a class in this building just a student would take a class in Bolin, Dillard or Prothro-Yeager. Moffett Library is also undergoing a large amount of construction that will renovate the look of the area completely. 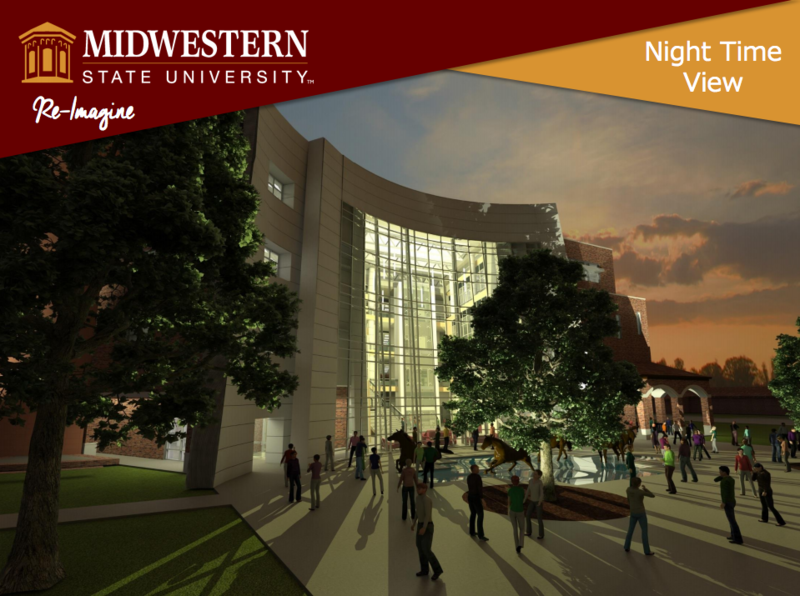 The areas being renovated include the study pods, bathrooms, elevators, computer labs, tutoring center, media area, patio and the overall aesthetic of the library. 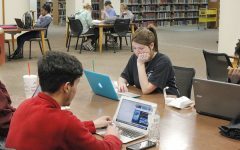 Clara Latham, university librarian, said she thinks the library will benefit students greatly by the new group areas available and the added technology offered to the students. She said the addition of outlets and data will also help prepare the students. The $ 7 million renovations are funded by TRBs. 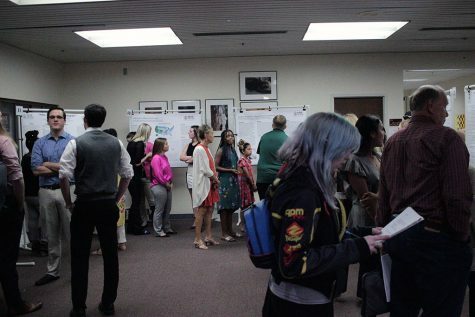 “The faculty and staff adapted to the construction pretty well with the inconveniences of the elevator and bathrooms being closed briefly,” Latham said. During the summer, the library staff asked the students to use the bathrooms in Clark Student Center. 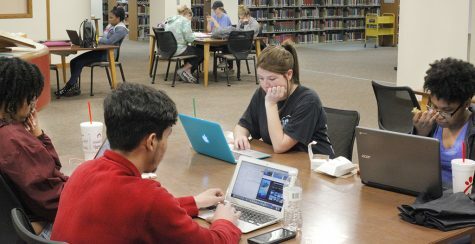 In November, renovations to the study pods begin, and the chances of students being impacted increases. She said she hopes that in the end the area will feel more at home while also being a practical use of the space. The B-wing lobby of Fain, Aug. 10, 2018. There have been upgrades to the music practice rooms and the music studio ventilation system. The ADA compliance renovations and the updates within the music studio estimate to a total of $2 million. The more recent construction deals with ADA Compliance. The ramps are still in progress, and the elevators are completed, but the department is waiting for inspection so the elevators can be used. The last two phases will begin in December and then again in Summer 19. “When we look at the long term benefits, I think most people will be grateful that we went through this process,” Camacho said. The police station has also undergone a process of relocation and adaptation to further benefit the future of the University. The estimated cost for the construction was between $90,000 and $110,000, not included the cost of the building which was already owned. Owens said the renovations to the new police station was done mostly to make the area usable with the needed technology. He said that there were minimal structure changes to the building. 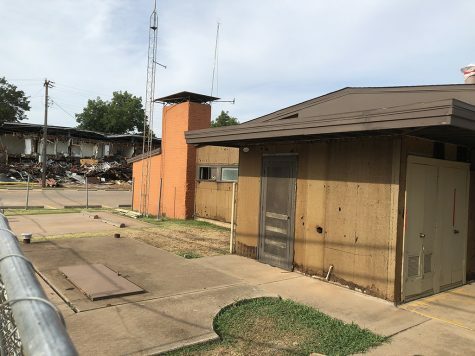 The police station moved to make room for facility shops to be built in the future. 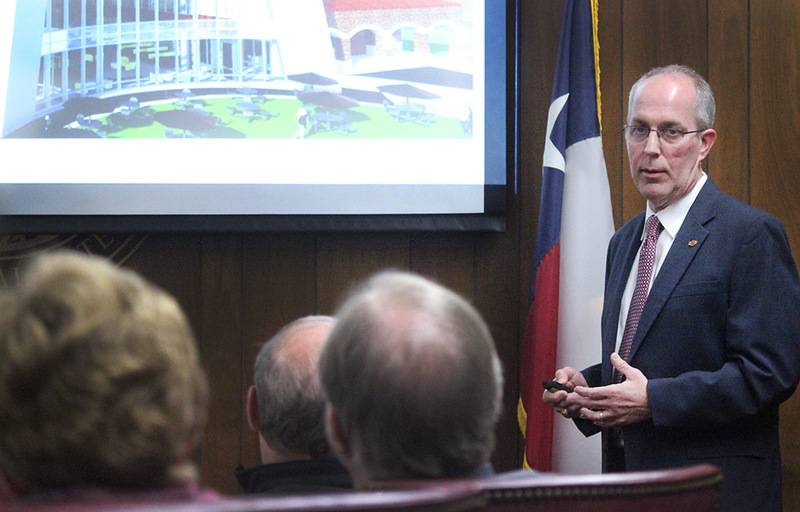 Owens said the facility shops, now located in the Daniels Building, needed to be moved to the outer edge of campus. He said it is unusual that the facilities building is located within the heart of campus with many students walking right through the parking lot where trucks carry large equipment. 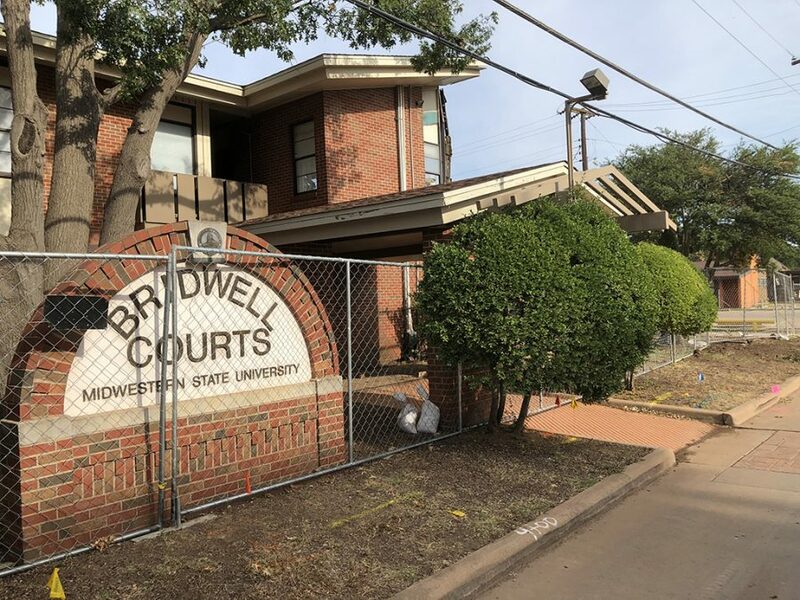 There are multiple small construction sites, costing nearly $5 million, throughout campus that are renovating to increase accessibility to the buildings. 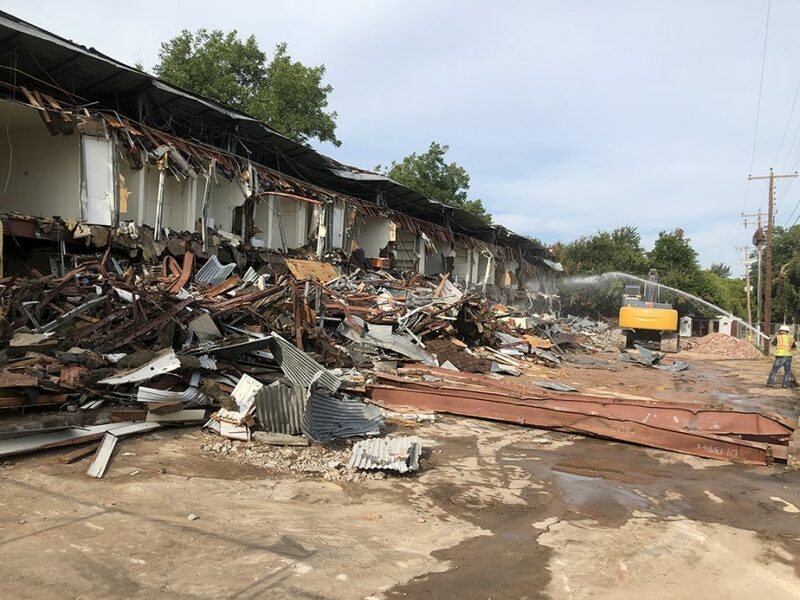 Bolin Hall, Ferguson Hall, Akin Auditorium, the Fain Fine Arts building, the Hardin Administration Building and the West Campus Annex are adjusting their physical state to become more compliant with ADA and fire renovation needs. The construction of the Jesse Rogers Promenade, or Mustangs Walk, is another construction site on campus that is not only improving the accessibility of an area, but is also improving the aesthetic. “The promenade is part of the overall beautification of the campus. The area has a particularly high number of pedestrians, along with cars and large trucks with deliveries. We are trying to make the campus a more pedestrian friendly area,” Owens said. Owens said the $80,000 promenade will help connect the campus and make the area more aesthetically pleasing.